With the limited availability of true high performance race camshafts for the M30, VAC developed these cams along with one of our expert cam manufacturer to ensure these meet the needs of the serious racer. These racing camshafts, along with proper supporting mods and compression ratios can typically make at least an extra 20hp-50hp and more over a sport cam. 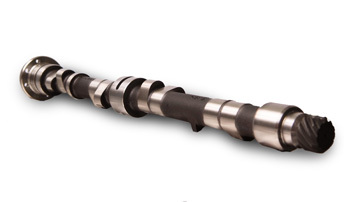 VAC Camshafts are designed to work with both Motronic and non-Motronic M30 Engines for racing use (select application above). These are proven, aggressive camshafts to make big power. High RPM usage causes high stress to the rocker arms on the M30 engines. VAC has developed our high performance racing rocker arms to fix this issue under high performance use, and highly recommends these with our racing camshafts. ECU or Carb tuning is needed for proper use of these camshafts. Regardless if you use VAC Rocker arms or not, new rocker arms must be used when installing new camshafts.